The simple work is one of the world's oldest and most popular cooking implements - a perfect pan for stir-frying, steaming, braising and deep-frying. Inspired by its versatility, and the delicious flavours of China, India and South-east Asia, this irresistible new book brings together a mouthwatering collection of fabulous dishes that are speedy and straightforward to make. 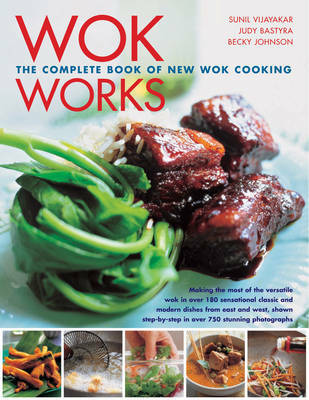 Recipes for every occasion with more than 180 inspiring dishes to choose from - from succulent steamed dim sum and crisp golden mouthfuls of deep-fried prawns, to quick and fresh stir-fries, slowly simmered curries, and hot, spicy parcels - sweet as well as savoury. There are also nutritional breakdowns to help you plan meals for those with dietary considerations, plus useful cook's tips and variations throughout.